The BC Farmers’ Market Trail Initiative offers new website to showcase 145+ farmers’ markets throughout B.C. If you attended a farmers market anywhere in the Koots this summer you know how popular they’ve become, with most communities having jumped aboard to offer them every summer. In fact, we all now look forward to the return of summer so we can collect our fresh produce and baked goods, shop for unique handicrafts and just generally enjoy the happy, bustling outdoor market energy with our many friends and neighbours. Farmers’ markets in British Columbia contribute more than $150 million to the provincial economy each year and the BC Association of Farmers’ Markets (BCAFM) is expecting them to contribute even more with last month’s announcement of the new BC Farmers’ Market Trail. “The BCAFM is thrilled to launch the BC Farmers’ Market Trail initiative this summer. It showcases the rich experience of farmers’ markets in our province and the phenomenal local farms and food throughout the regions. The Trail will make it easy for locals and visitors in BC to find the freshest, local, in-season food and will serve as the definitive guide to 145 community farmers’ markets across BC,” said Wylie Bystedt, president of the BC Association of Farmers’ Markets and Cariboo rancher. The project was supported by Destination BC’s Co-op Marketing Partnerships Program with a $30,960 grant as well as $30,000 from the Columbia Basin Trust and $10,000 from Kootenay Rockies Tourism. The first trail showcasing regional farmers’ markets was launched at the end of the summer and the BCAFM plans to showcase all of BC’s unique regions over the coming years. The impetus behind creating an easy to use consumer-facing website was to highlight how abundant and diverse farmers’ market experiences are across the province, particularly in rural and remote areas. 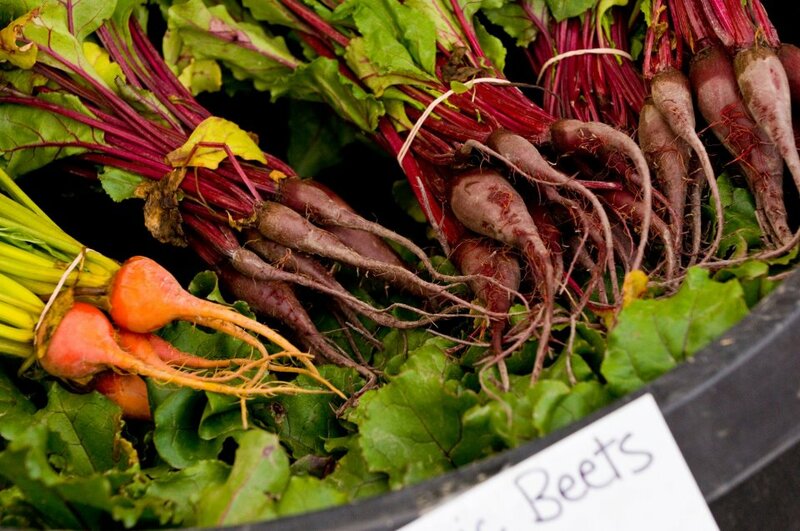 With the increasing trend of people seeking healthy, local, in-season products, the BC Farmers’ Market Trail provides a comprehensive solution to finding these sources available through BCAFM’s member farmers’ markets. And through the BCAFM’s newly launched website, along with printed guides, visitors and BC residents are now able to easily discover regional farmers’ markets selling freshly harvested fruits and vegetables, locally raised meat and eggs, artisanal cheese, preserves and honey, craft beer, wine and spirits, savoury treats, and handmade artisan goods. This is all in support of BCAFM’s quest to better support local food producers and their markets. It also encourages visitors and locals to explore BC in new ways, discovering regional ingredients, unique growers and hidden artisanal gems.